I did the ride for several reasons: I am grateful that at 80+ years I can ride that distance and enjoy it. 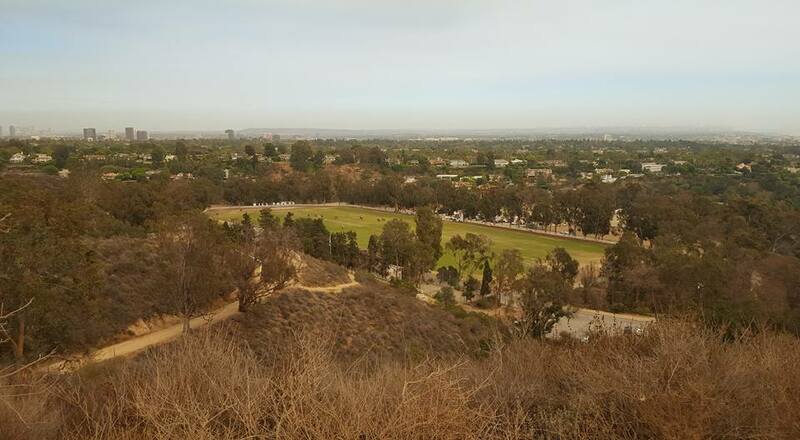 I wanted to help publicize the Backbone Trail as a new National Recreation Trail. I hoped to inspire others to reach for their goals. I wanted to show land managers the great need for trail camps. 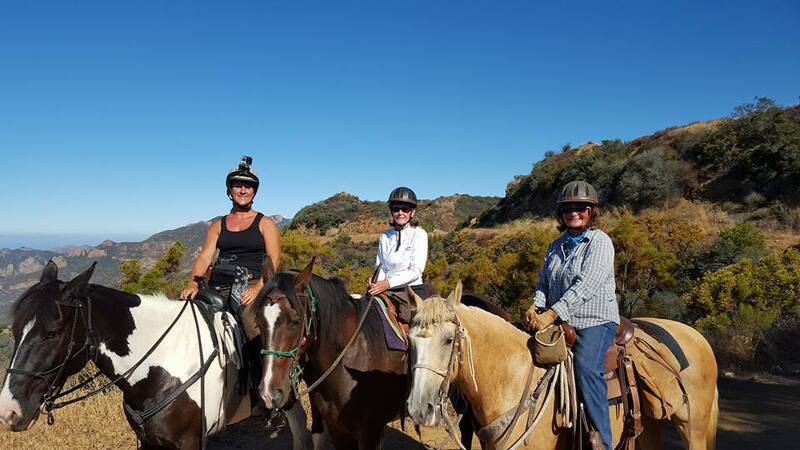 In the Summer of 2016, four women on horseback traversed the Backbone Trail (designated as a National Scenic Trail in 2016). 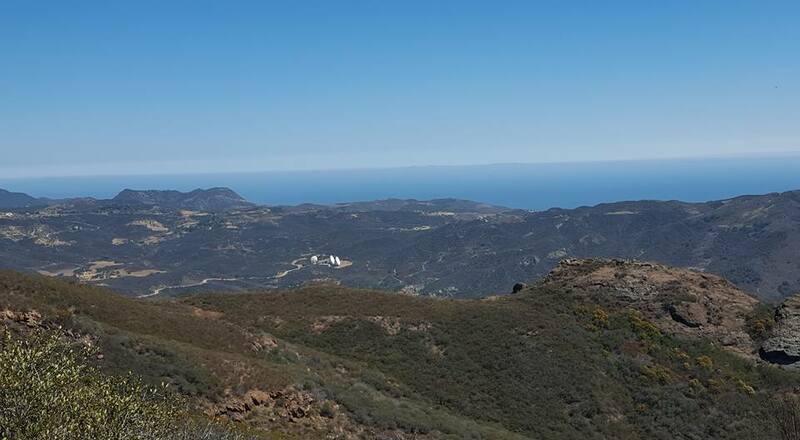 From La Jolla Canyon in Point Mugu State Park to Will Rogers State Historic Park, the Backbone winds its way through the Santa Monica Mountains. Read on for a narrative and a few suggestions for others contemplating a ride along the Backbone Trail. Day one: Todays ride was not too bad. Up the windy and narrow Ray Miller Trail, along the wide Overlook Trail and then down the wood Canyon Vista Trail into Sycamore Canyon. The distance was 8.2 miles with about 1,330 feet of elevation gain. Fine weather and good company made the time pass quickly. Camping was delightful under the Oaks and Sycamore trees at Danielson Ranch. Day two: The ride today was much longer (nearly 14 miles) with lots of climbing (more than 3,000 feet). From Danielson Ranch we climbed up Blue Canyon to the Chamberlain Trail into the Sandstone Peak High Country. From there we dropped down to the Mishe Mokwa Trail head before finishing on the Backbone Trail where it crossed Little Sycamore Canyon Road. 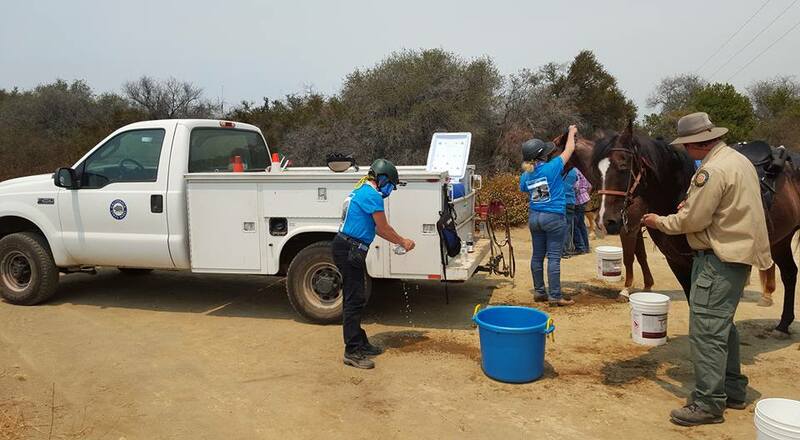 Thank you to the volunteers who provided water for the horses at the Mishe Mokwa Trail Head. Day three: The ride today not as long as yesterday (nearly 10 miles) with bits of climbing and descending. 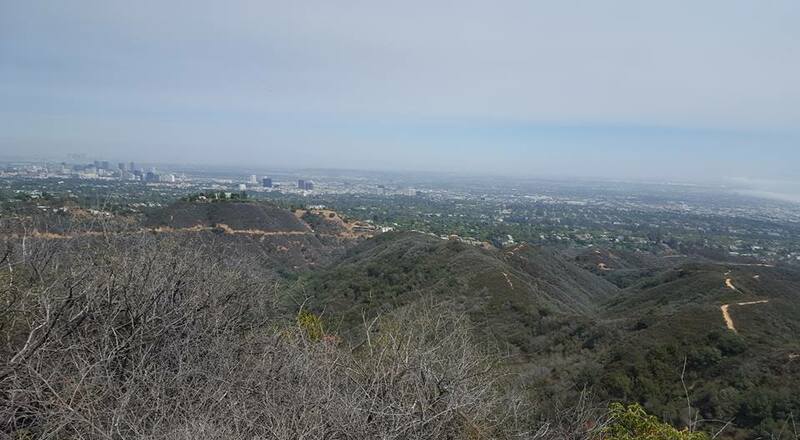 From Litle Sycamore Canyon Road we climbed up the newly created Etz Meloy bypass trail; crossed Mulholland then meandered towards Encinal Canyon. 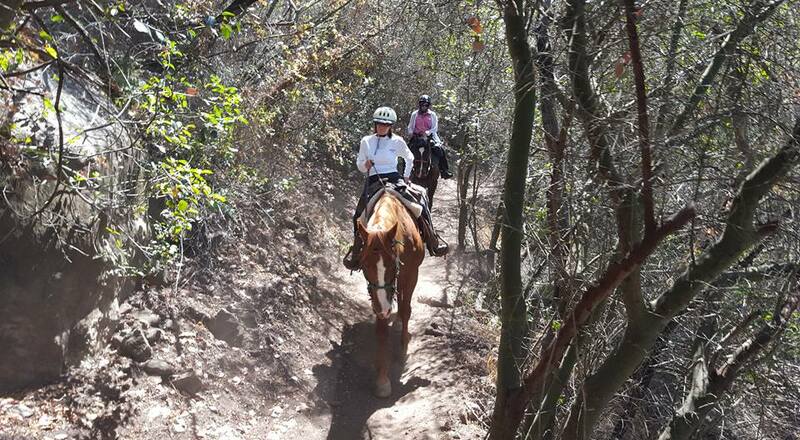 From there we crossed into Trancas Canyon which we then rode towards Kanan Road. Day four: From Kanan Road the trail traversed over to Latigo Canyon, down into Solstice Canyon up to Corral Canyon Road over towards Puerco Canyon and finally down Mesa Peak Fire road to Malibu Canyon Road. A hot but beautiful ride. No camps were available so the group stayed at a private ranch. Day 5: There were numerous technical obstacles to overcome - steps near Saddle Peak and a slab on the Hondo Canyon Trail. Skilled horse and rider - required! Up from Piuma, Over Saddle Peak and down to Topanga Canyon via Hondo Canyon. 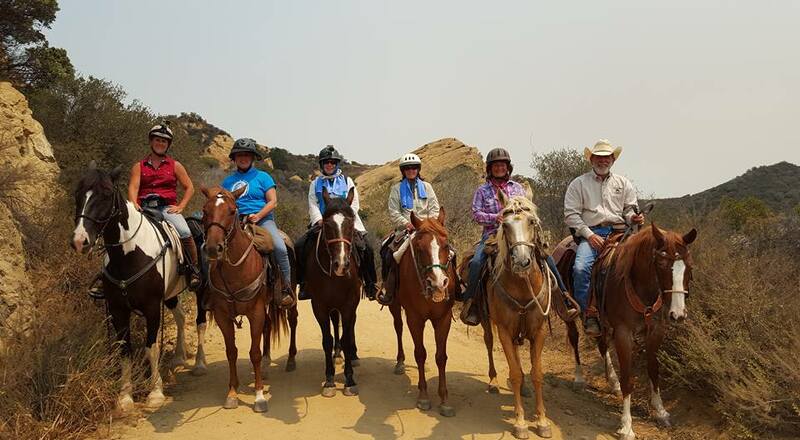 When I thought about doing this ride, I decided to invite only friends who met 2 criteria - they had to have a sense of humor and their horses had to be trail savvy. I invited four women ranging in age from 45 to 74 yrs:Tracey Potter, Jeanne Wallace, Kimberly Gustafson, and Janet Peterson. On a general basis, we really enjoyed several special things -- the trails & trail treads were in great condition - the rock formations of Old Boney seen from Blue Canyon Trail and Chamberlain Trail in Pt Mugu - the views seen at the same time of the ocean and the valley from the top of Corral Canyon - riding up through the rocks and massive boulders of Saddle Peak Trail in Malibu Creek State Park - the wonderful friends who previewed the trails for downed trees and removed them - the friends who drove the trailers from campsite to campsite every day - the friends who brought our horses & us water the friends who let us camp at their ranches - Calamigos Ranch for an amazing stay with our horses high lined, cocktails, fabulous buffet, cabin with shower & beds - and all the other friends who helped in myriad ways. It was wonderful to have the support of National Park Service, California State parks, and the Santa Monica Mountains Conservancy for this historic ride to publicize the Backbone Trail as a National Recreation Trail. 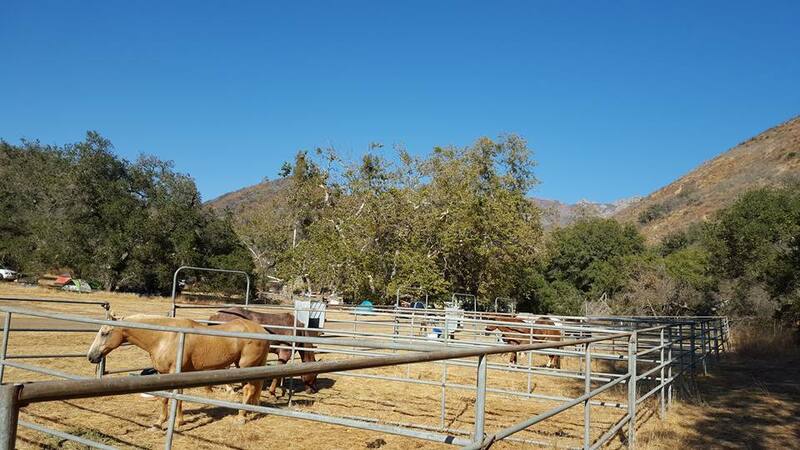 We greatly appreciated the many small and big things that State Parks and NPS did for us especially State Parks putting up corrals at Trippet Ranch in Topanga State Park and NPS taking care of all the media and press. I did the ride for several reasons: I am grateful that at 81 years I can ride that distance and enjoy it. I wanted to help publicize the Backbone Trail as a new National Recreation Trail. I hoped to inspire others to reach for their goals. I wanted to show land managers the great need for trail camps. The main challenge was having places for camping overnight. We rode the BBT west to east as its more climbing in that direction which I personally find easier than going downhill due to my hip. I also prefer the views in that direction. 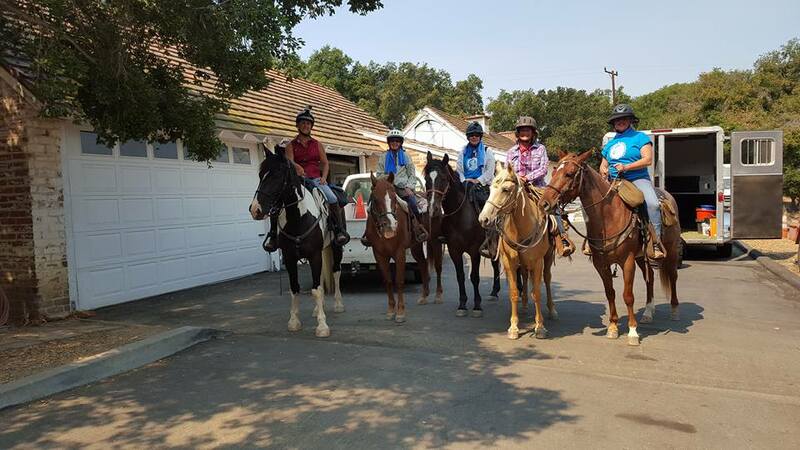 The most amazing thing was our favorite vet, Dr. Merle with Conejo Equine Vet, surprising us with ice cream Tuesday night and again surprising us with electrolytes early Saturday morning. The scariest part of the ride for Tracey, Jeanne and me was crossing the bridge at Chicken Ridge in Will Rogers State Historic Park. Many thanks for the help and support from all the parkland agencies on our achieving success on the Backbone Challenge Ride. We greatly appreciated all you did in every small and big way and you made a difference. We had a great time and really laughed our way across the Backbone Trail. 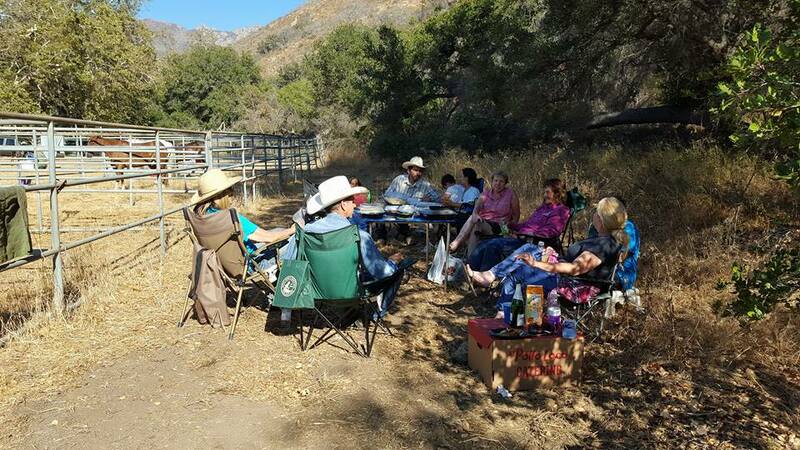 In the future, when people are camping at Danielson Ranch and do not have horses, if a group with horses wants to camp there, then the equestrians ought to be allowed to share the campsite and use the corrals. Additionally, the corrals that are in great disrepair at the Sycamore Multi-use campsite should be moved. When they were installed more than 20 years ago, there was not the heavy biking, hiking and vehicle traffic on the roadway that is now present. The corrals, campsite and restroom should be relocated to a place much farther off the roadway that will afford some sense of privacy and relief from the traffic. A major challenge on the ride were the overhanging low branches, especially on some of the trails: Old Blue, Chamberlain, Boney, Mishe Mokwa, Latigo, Newton, and Hondo. NPS: Need BBT sign where trail comes from Mishe Mokwa & meets Yerba Buena and U-turns, as there are two trail options there. Need BBT sign pointing left on Saddle Peak Tr after boulders & after Boundary sign where a stick is across the BBT so that people know it is correct to turn left regardless of the stick. 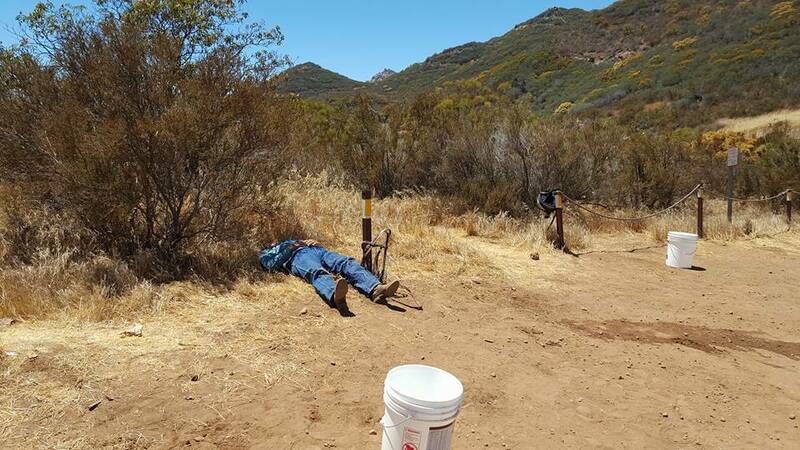 SP: Need Sign - HORSES COMING UP & GOING DOWN - Top of Piuma & Saddle Peak Tr in addition to the no bike signs. 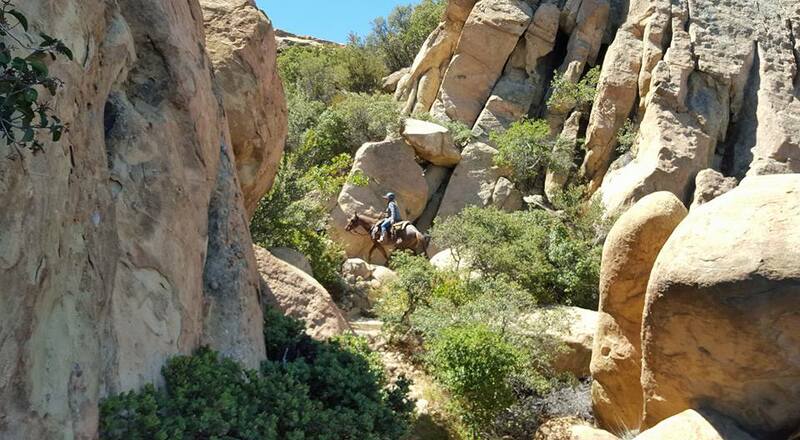 The rock slab on Hondo Cyn could be improved for horses if the surface was roughed with a jack hammer/pick. Camping Sites are needed about every 10-11 miles. We averaged 2 to 2.5 mph depending on the terrain and the distance, as well as the weather; and we averaged 11 miles per day with lots of climbing. Need a Campsite especially along Yerba Buena as Circle X Ranch is too short a distance from Danielson. Need a Campsite in area of Tapia Park near Piuma Rd or along the BBT south of Piuma Rd. 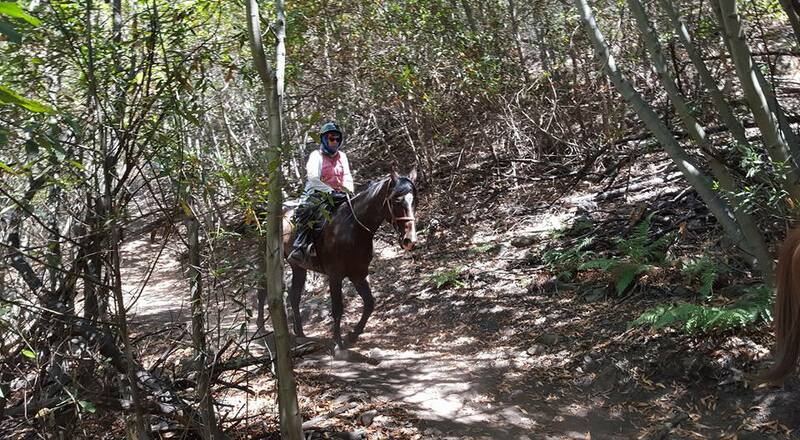 Need a trail from BBT to Calamigos Ranch, which is an ideal camping place for all users we had to trailer the horses to Calamigos at the end of the ride on Wednesday and then trailer them back to Kanan on Thursday morning. 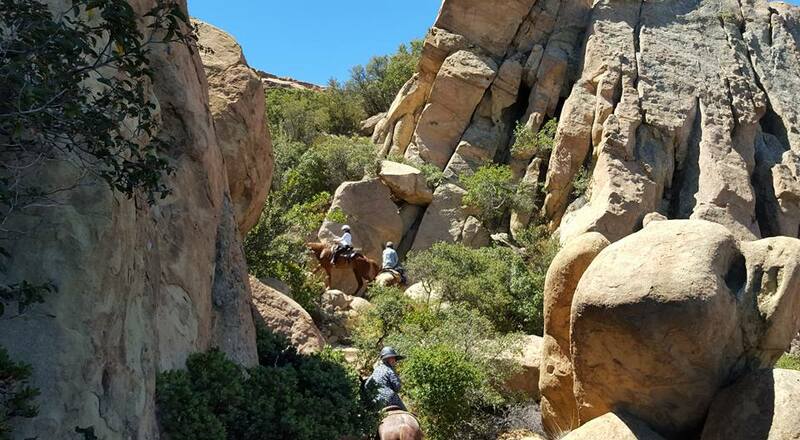 Now that the Backbone Trail is a National Recreation Trail there will be many more people interested in traversing it. Trail camps are the main priority. We were able to do the ride by using two private places but that will not be an option for future travelers. I recommend a distance of 10-11 miles between campsites, as I believe that can work for most users. Having just 8 miles between campsites forces riders to have some very long days to get through the whole trail in several days or else they have to add another day to the ride. We did the ride in 6 days and 5 nights. The first day was just 8 miles from La Jolla Campground in Pt. Mugu SP to Danielson Ranch, where there were corrals, water and restrooms. It was ok to have one short day with a good campsite to start the ride. Fortunately, for the second day we found a place to camp with permission that was 13 miles distant. Although there was no water there, we were fine as we had plenty of water in the trailers; we had a portable restroom; and we high lined the horses. Trail Camps and Campgrounds are different, and their access and use are different. Trail camps need just poles for high lining, some water and a restroom. They do not need vehicle access to the site except for servicing the restroom. It is ok to have access a short distance away for support of friends bringing hay, people supplies or visiting. 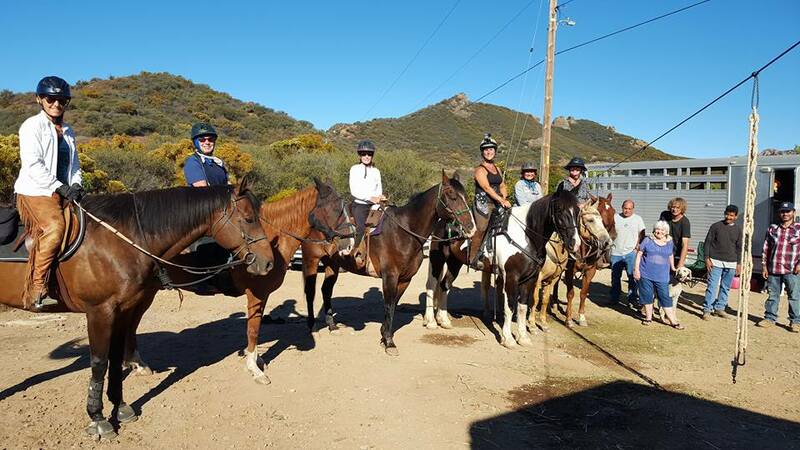 High lines are better rather than corrals at equestrian trail camps. Camping with horses requires that the horses be familiar with high lining. By high lining, horses can be separated farther apart to minimize interaction. Also, it will cost less to install poles than to maintain corrals. Some horses are not friendly with others, and the corrals are damaged when horses are kicking at others, and the horses can be more easily injured. Each campsite should be able to handle 6 to 8 horses. You would need to erect four (4) poles, and visitors would bring their own ropes. I' d be glad to offer further information on the various ways to handle high lining. Campgrounds need a place for vehicles and rigs - truck & horse trailer, and a place for turning around. At campgrounds it is common for some people to tie their horses to their trailers overnight. Some people use a Hitie, which is attached to their trailer and extends out so the horse can move around more, eat from the ground and lie down; it is similar to high lining. Horses can lock their knees when sleeping standing up, and they often do so especially during the day. They do not always close their eyes when sleeping, so people must always talk when approaching a horse and not assume it sees or hears you; when startled horses will move quickly and often kick out. Their reactions are about 10 times quicker than humans. Yes, it' s amazing considering their size! Since people can haul water in support vehicles, it is helpful but not necessary to have it at every campsite. A non-potable container / water buffalo for the horses might work at some places. The manure at campsites could be handled in 2 possible ways. One is to bag it and put it in the horse trailer. If riders have no support vehicle, then the best way to distribute this organic material is to send it into the brush so that birds, rodents and small animals can enjoy it. It is bio-degradable, and many people use it as compost for their gardens. Riders with pack stock may not have a support vehicle as they can pack their own feed, and someone can meet them with water along the trail or at a campsite. Five courageous ladies are embarking on a major challenge of skill and adventure in a couple of weeks. 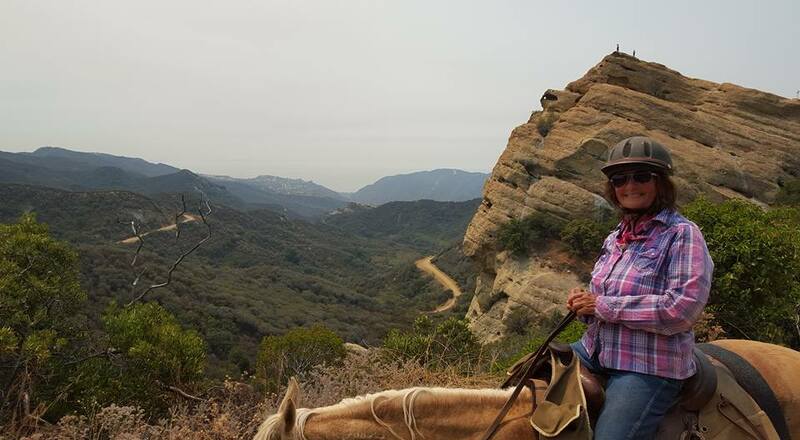 The Backbone Trail Cowgirls are setting out to ride the entire Backbone Trail on horseback as the first group to do so since the trail was completely opened end-to-end and officially designated as a National Recreation Trail. The trail, which goes from Pt. 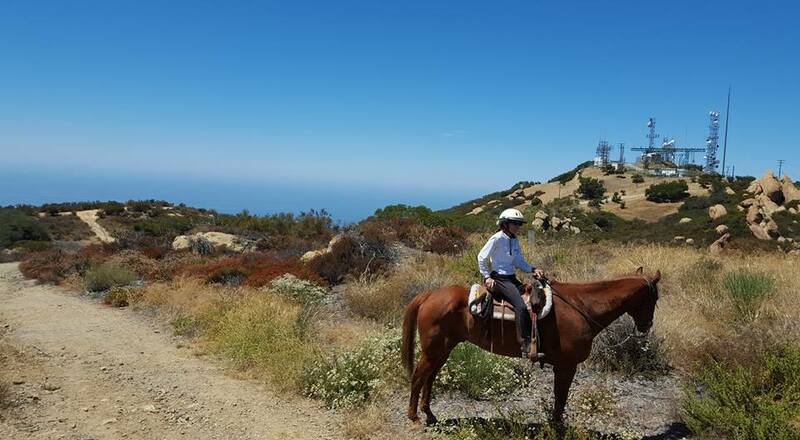 Mugu State Park in Ventura County to Will Rogers State Historic Park in the Pacific Palisades, was officially designated as a National Recreation Trail by US Secretary Sally Jewell and National Park Service director Jonathan Jarvis on June 4, 2016. 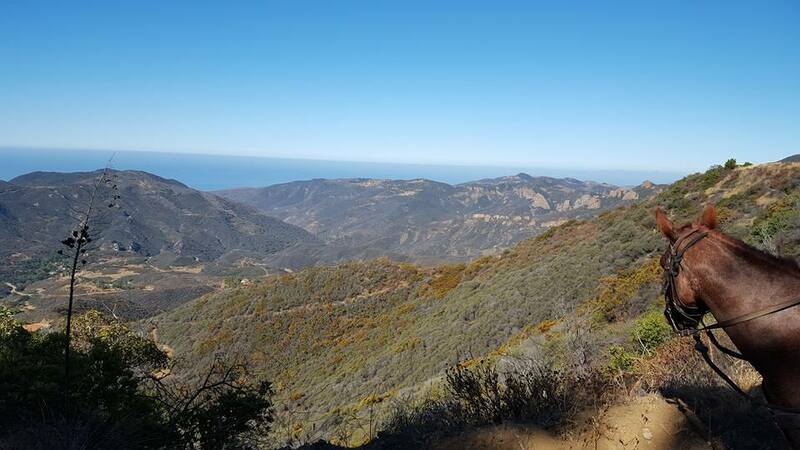 By averaging about 11 miles each day, their journey will cover the 67 Backbone Trail miles of mostly rugged terrain with some pretty hefty elevation changes along the way. Their trip will begin at the Ray Miller Trailhead in Pt. 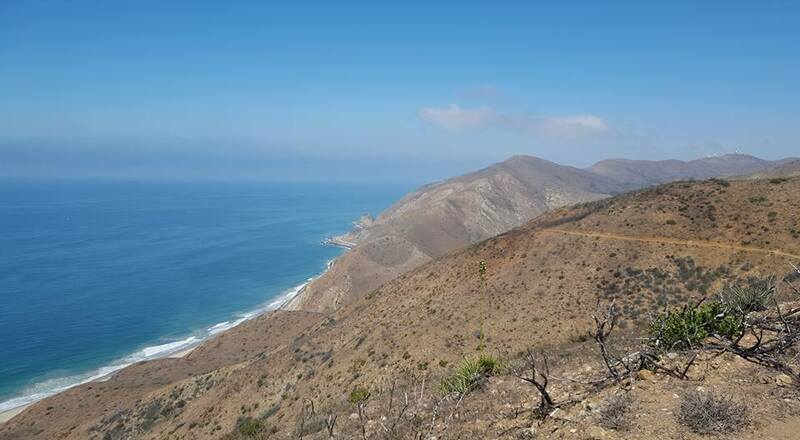 Mugu State Park on Monday, July 18, 2016 and finish on Saturday, July 23, 2016. 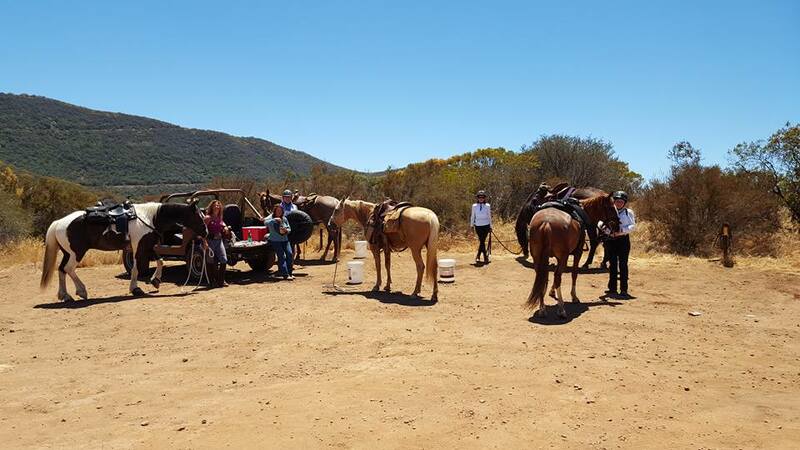 They will camp near the trail each night and have their horses in corrals or high lining them. No hotels for these women! 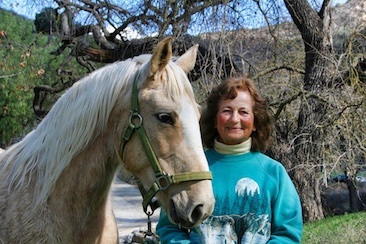 They have a support team of friends who have volunteered to take on various tasks such as pre-riding parts of the trail to identify obstacles, clear brush and downed trees, drive the rigs from campsite to campsite, bring dinners in the evening, meet with water for the horses where the trail crosses roads if it is very hot, and help in any other ways needed. What an amazing journey this will be! These women will be riding across the spine of the Santa Monica Mountains. The views will be spectacular, not to mention the wildlife and wildflowers. It will not be easy, but they all share a common thread, a sense of humor and a sense of purpose. California State Parks, National Parks Service and Santa Monica Mountains Conservancy are all strong supporters of this ride and have made every effort to ensure that all goes well. There are 2 non-profit organizations also supporting the ride: Santa Monica Mountains Trails Council (SMMTC www.smmtc.org) and Recreation & Equestrian Coalition (REC www.gotorec.org). Park Watch Report (PWR www.parkwatchreport.com) is a website and phone app for State Parks that is used to improve trails and address safety issues by engaging the public; they are also supporting the ride.